These photos are from the 5th Annual Firestone Walker Invitational Beer Festival (FWIBF16) which was held this past Saturday afternoon at the Paso Robles Event Center and featured about 50 breweries and 200 craft beers from around the world as well as foods from 33 local area restaurants. 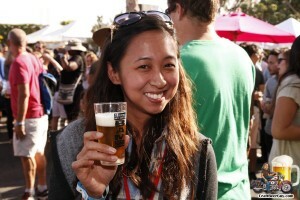 The Firestone Invitational is one of, if not the best run craft beer events I have ever attended. I remember attending last year’s Invitational and being quite surprised to learn that it was only the fourth one as it was run so smoothly; from ensuring ticketed attendees were in the gates and ready to go by the time the event officially started, to making sure water was readily available no matter where you happened to be in the venue. If I did not know better, I would have guessed that they had to be doing it for 10 years instead of four. It is that time of year again; the 6th Annual Beer, Art & Music Festival (BAM Fest) will be held Saturday afternoon, October 10, in Santa Monica at the 18th Street Arts Center. The 18th Street Arts Center is a 501(c) (3) non-profit organization and is the beneficiary of all the proceeds from this fundraiser. This will be my fourth time attending BAM Fest and all I can say is that if you enjoy craft beer, live in the Los Angeles area and have never attended BAM Fest, you are doing yourself a disservice. From the first time I attended in 2012 I have been nothing but impressed; and the event just seems to get bigger and better every year and 2015 appears to be no exception.